I am at 1400 km now and if the weather holds into October I should be able to hit 3000 km for the year. Still averaving 30 km/h on the rides into work. I seem to be stuck there but when this next 10 lbs of fat dissolves I should be able to hit the hills harder. Nearly cracked 32 km/h (20 MPH) average today. Total km is about 1650 thus far. Well I did average exactly 21 MPH today on the ride in to work, 46 minutes flat, 25.88 km. Put together a road bike for my wife last week, she's verticaly challenged. 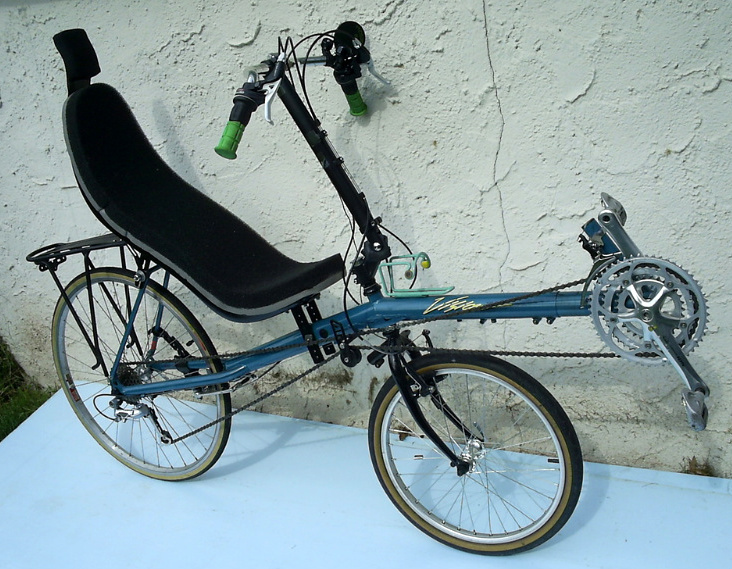 35cm frame, 650c wheels, 145mm crankset, 34cm handlebar.. altogether.. one tiny bicycle. She wants to do a century in October. Over the weekend we went out for 18 mile ride, took 1 1/2 hour with food stop and multiple breaks.. I think I will do the same century with her on my recumbent. Update: as of Friday this week I will have 2010 km on the bike this year. About 15 lbs. have been dropped so far. The target is another 1000 km and 10 lbs. Average speeds are consistently over 30 km/h now, 31.2 yesterday for example. Four hundred thirty one point three four miles? That's all that shows on the cyclo-computer! I've only commuted 21 days (at 10.2 miles one way) this year? No, that's right. I went back into the prior pedal distance threads and worked forward from a post in which I had the odometer total. The late season has not been kind. Distance since the last post I made is only 270 km more, and weight is maybe 1 lb lower. Meh. I hope to get maybe 3 or 4 more rides in before the monsoons hit. 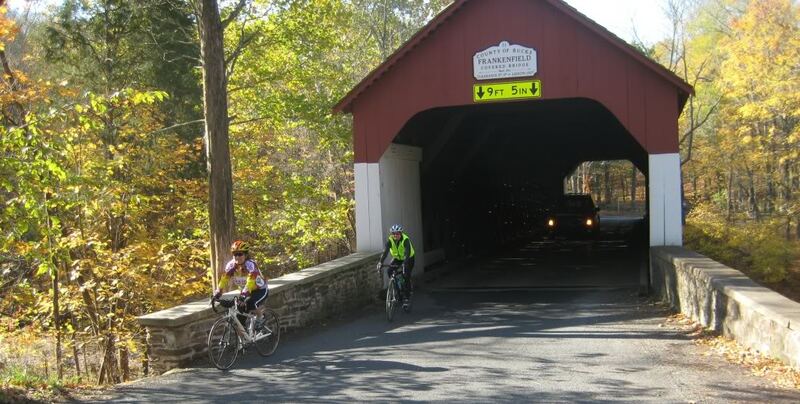 Wife and I rode the Covered Bridge Ride yesterday, likely the last day for this year that temp. still got up near 70's. Pic of wife and co-worker, I was just taking the pic.